In the Changi Airport Terminal 1 Public Area, a whole slew of new retail shops have been introduced, expanding the choices for airport visitors, even those who are not flying. Among these are retail shops including Perfumes and Cosmetics, Relay (for book-lovers), Watsons Personal Care Store, Bengawan Solo (this is where we usually get our food souvenirs for our host in other countries). Those travelling can continue their shopping spree in the Departure Transit Mall. Some interesting retail brands at Changi Airport Departure Transit Mall include Marc by Marc Jacobs (bags and accessories), Tumi (travel bags and accessories), Dunhill (luxury men’s fashion and accessories), Bata (shoes), FotoPro (computer and photographic equipment), So Chocolate, Relay (last chance for you to grab your books before boarding! ), Harrods, Victoria Secret and Pashma (accessories). 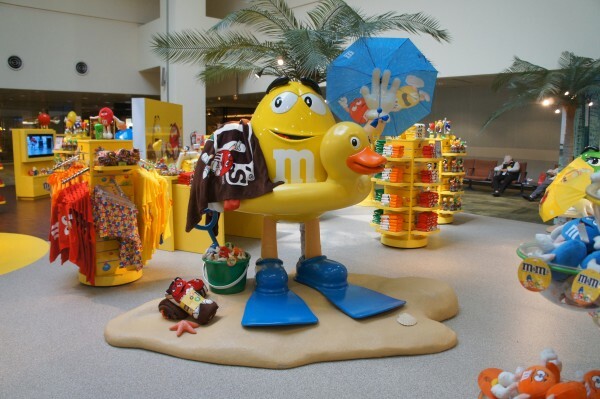 One of the latest retail outlets at Changi Airport Terminal 2 is M&M’s – the largest dedicated M&M’s store in Asia (located on the Mezzanine level of Terminal 2’s Departure Transit Mall). The store features a wide range of fun novelties, souvenirs, toys, candy dispensers, travel accessories and more, making shopping even more fun for chocolate lovers. 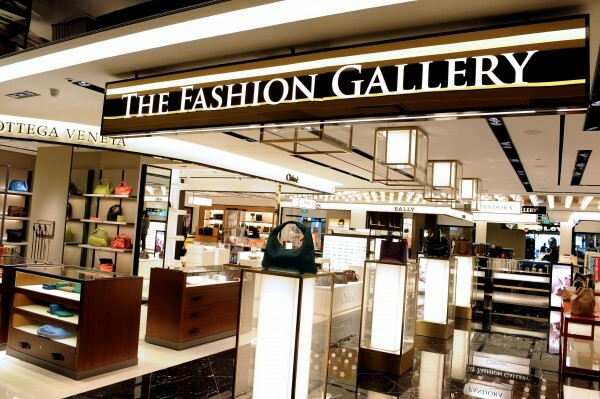 Terminal 2 also houses a multi-brand fashion store, The Fashion Gallery which carries the most trendy accessories from bags to shoes and jewellery. Fashionistas will be spoilt for choice, with luxury brands such as Aigner, Bally, Bottega Veneta, Cartier, Chloe, Dunhill, Folli Follie, Hugo Boss, Longchamp, Salvatore Ferragamo, Swarovski, TODs, TUMI and YSL. Over at Changi Airport Terminal 3 (T3), Basement 2 is bustling with activities. T3 now has a wide variety of offerings that caters to a larger audience segment with facilities such as kids’ indoor playground, entertainment & gaming arcades, a video store, supermarket, apparels, travel agency, as well as a good range of F&B offerings. 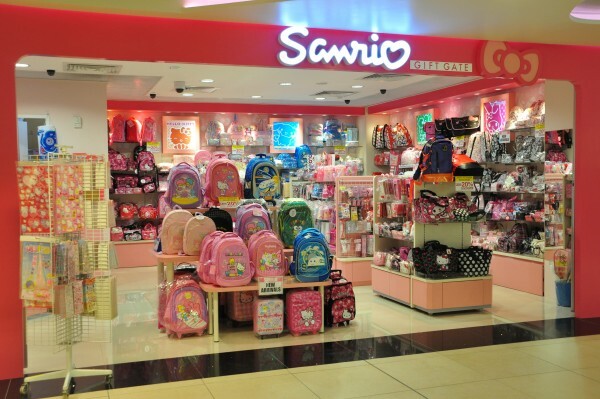 Unique brands include Singkids (Kids’ indoor playground from Japan which is a first in Southeast Asia), Sanrio (Japanese cartoon characters themed souvenirs & gifts – get your Hello Kitty stuff here! ), Ramen Champion (Japanese cuisine), Carls Junior (fast food) and Pastamania (Italian cuisine). On level 3, there are two retail anchor tenants, The Planet Traveller, the world’s largest lifestyle travel store, and Electronics [email protected]. Each outlet spans over 10,000 sqft. 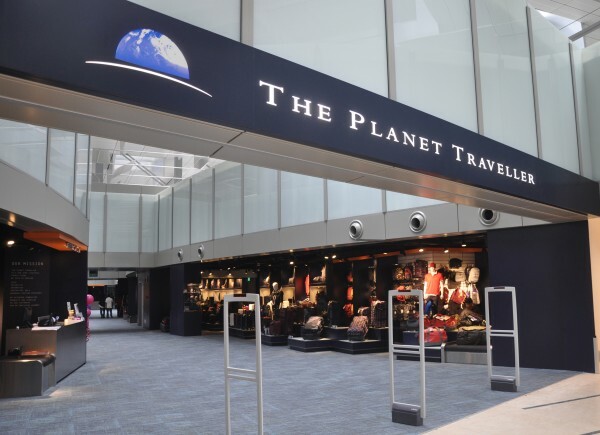 The Planet Traveller store carries a wide variety of travel essentials such as maps, books, gadgets and baggage, in 16 distinct merchandising zones including Travel Gear, Business Bags, Lifestyle Bags, Junior Travel, Winter Wear, Travel Accessories & Appliances, Travel Gadgets, and Travel Gifts. The flagship store also has a Repair Section that attends to travellers with damaged luggage and bags. The Electronics [email protected] carries a wide range of electronics and equipment, including Apple products and telecommunication services. Travellers can continue their shopping escapade in the Departure Transit Mall. 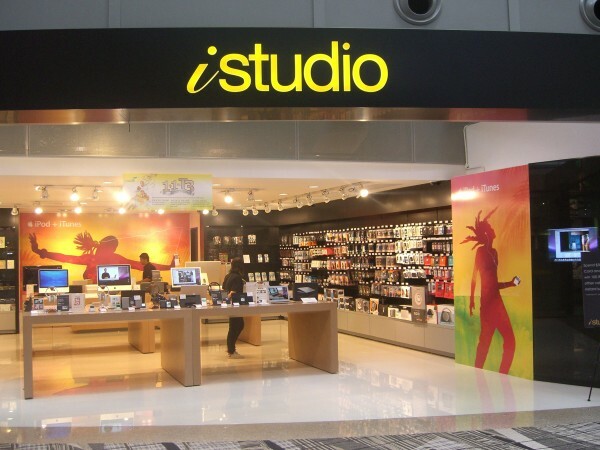 Some of the interesting brands which can be found are Desigual (the first airport store in Asia), Accessorize, Charles & Keith, Addidas, Hermes, iStudio, Sony, Swarovski and Rolex. If you are part of the Changi Rewards loyalty programme, you can earn points as you spend at Changi, for the redemption of vouchers. Rebates are as high as 6.25%. 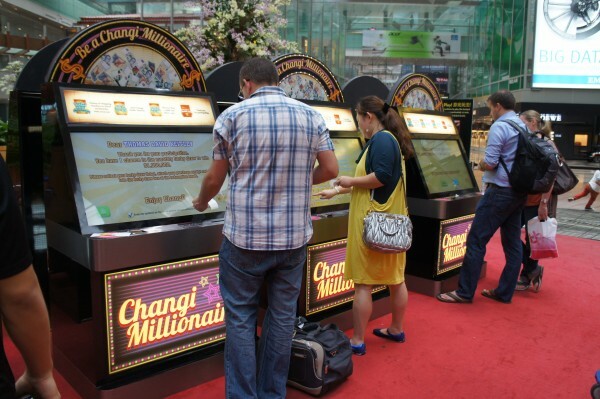 The Changi Airport-equivalent of a Toto draw – Be a Changi Millionaire is an annual promotion where one Changi shopper wins the grand prize of S$1 million. Unlike Toto though, there is no need to buy a ticket or think of your lucky numbers to participate in this – simply spend at least S$30 in a single receipt on shopping or dining at Changi to stand a chance to win a million dollars, plus a host of instant prizes including the new iPad, shopping vouchers and travel accessories. Transactions made at retail and F&B outlets at both the public and transit areas of Changi Airport were eligible for participation. The higher the amount spent, the more the chances of winning. Changi Rewards members were allocated an additional chance. The third run of ‘Be a Changi Millionaire’ retail promotion had just concluded with the sixth and last finalist drawn in November 2012. Among the six finalists, three are from China, two from Singapore and one from Australia. 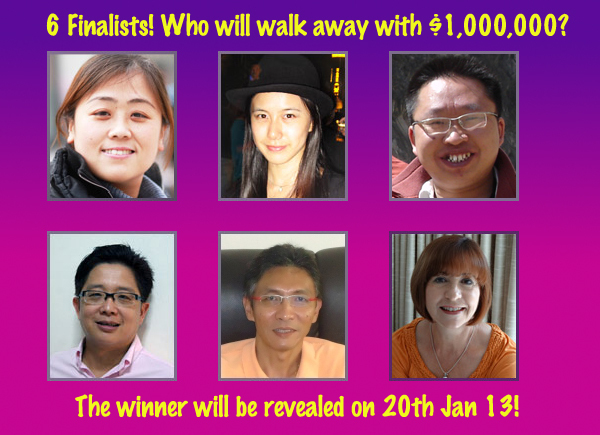 In a couple of weeks’ time, these six finalists will meet at Changi Airport for a final showdown of luck and vie for the Millionaire title. The monthly finalists each win S$5,000 in cash, plus return airfare to Singapore (for non-Singapore residents), and two nights’ stay in a luxurious hotel in Singapore and they will gather for the million-dollar Grand Draw on 20 January 2013 (next Sunday) where the Grand prize of S$1 million in cash will be won by one lucky finalist. this internet site is my intake , rattling wonderful design and style and perfect subject material . Hi there,I just wanted to mention that I enjoyed this post. It was practical. Keep keep up the writing of informative blog posts. Something to watch out for if you’re from outside Singapore and using a credit card: I went to Watsons in Terminal 1 and used my credit card. They didn’t ask: they used “dynamic conversion” to give me a poor rate of exchange. Never again.